Charlotte Allen doesn't much care for the book she is reviewing about the disappearance of cursive handwriting, but she does use the opportunity to provide interesting information. For instance I had no idea (although I probably should have) that "italic" script originated in Italy. .... During the 15th century, the Italian humanists developed a graceful script that slanted obliquely to the right and featured the joining of letters. This “italic” penmanship, one of whose virtues was that it allowed the writer to lift his pen from the page less frequently, and thus write even more speedily than the Gothic scribes, became the basis of modern cursive. One of its offshoots was “copperplate,” so named because it was modeled after a hand used on copper engravings, whose clarity and delicate flourishes made it the dominant script of the 18th and 19th centuries in England and America (the signed fair copy of the Declaration of Independence was executed in copperplate), and it lives on among calligraphers. 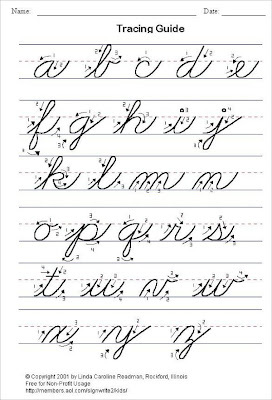 She writes that increasing numbers of school districts no longer teach cursive — concentrating instead on keyboarding. It has been years since I wrote a letter in cursive and my handwriting is increasingly terrible. Even my signature is becoming less legible. Almost everything I write is through the keyboard even though I never learned touch typing. 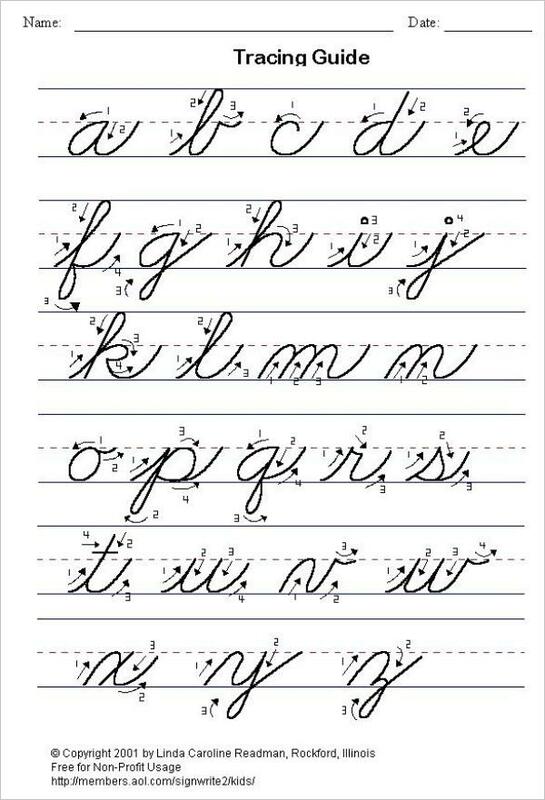 I don't miss writing in cursive but I would miss not being able to read it. It will be another sad disconnect with the past when we can't read our grandparents' letters and journals.